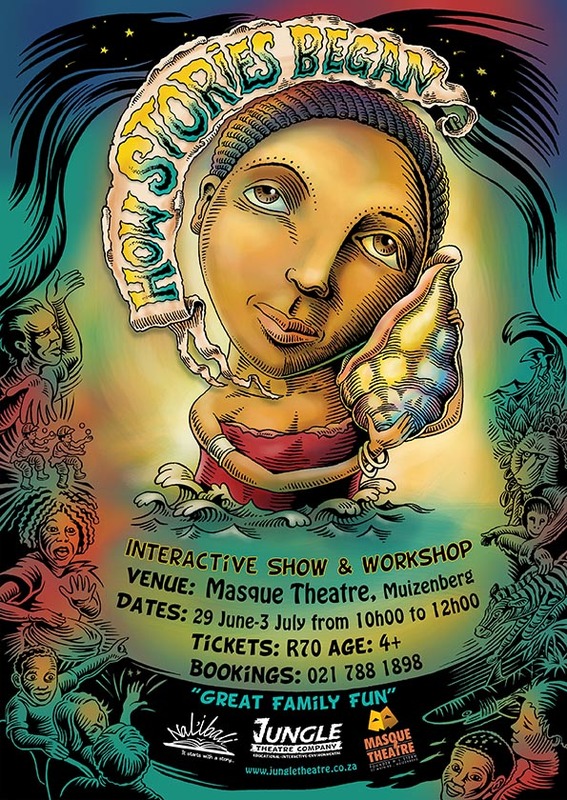 Jungle presents The Magic Shell based on the African Folktale “How Stories Began”. The Magic Shell the theatrical representations draw young children into a world where animals and humans are connected. Their imaginations become rooted in culture and nature. They are prepared to make the folktale their own. They become ready to tell this original story in their own words and in their mother tongue. The Magic Shell is 45 minutes in duration and suitable for children aged 4 and up (grades R to 3). An accompanying workshop is also available.